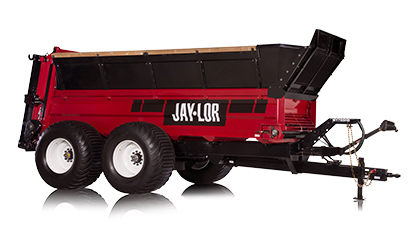 Jaylor is well known for producing a high quality, durable feed mixer. Over the years we have designed and patented a number of exclusive features that build on our established reputation for durability and efficient operation. Models ranging from 50ft³ (1.42m³) to 1250ft³ (35.4m³) are available in many configurations including trailer, truck, stationary and self-propelled. The Jaylor lineup has the right size for every operation and a full range of options is available to create a tailored feeding solution for every application. Jaylor’s innovative and patented vertical auger produces a quality mix faster and cleaner. 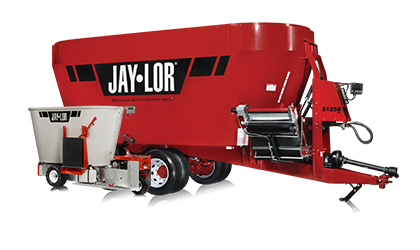 A fundamental feature of the Jaylor auger are the ‘Square Cut’ edges that contribute to its industry-leading ability to process baled forage and other roughage, and mix it into a uniform TMR that resists sorting. The improved cutting action means less pressure on the mix and improved feed ration for your animals. You may already have a nutritionist, and that’s perfect. At Jaylor we want you to think of us as your ‘feed mixer’ nutrition specialist. When you purchase a Jaylor mixer, we are at your service, so please feel free to email us, anytime, at nutrition@jaylor.com. We’ll answer all your nutrition questions. That’s what goes with being a Jaylor customer! 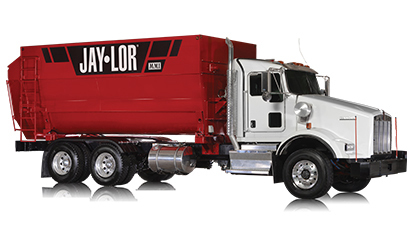 At Jaylor we expect our mixers to perform…“Because Nutrition Matters®”. 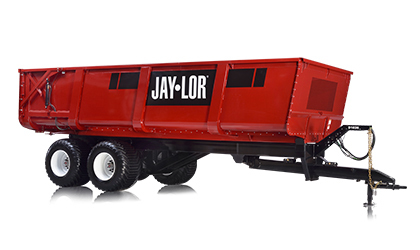 Jaylor builds all its products to provide years of trouble free performance. The answer lies in the fact, they are all engineered with simplicity of operation and minimal maintenance in mind, as a result of their robust design. Take for example our new Manure Spreaders. Cambered commercial-grade highway axles and brakes along with oil bath hubs make the chassis virtually maintenance free. The quick attach vertical beaters and hydraulic guillotine door provide a full consistent spread from front to back and across the width of spread. Our simple yet robust dump wagons enjoy the same rugged chassis features as our spreaders, delivering years of trouble free operation. Our unique cylinder configuration provides exceptional stability while requiring less oil volume which eliminates the need for auxiliary oil tanks. The design of our Up-and-Over tailgate opening, with a four-inch body taper, accounts for its unparalleled ability to empty its full load quickly. Our wide, low pressure tires give added stability and low compaction in wet conditions. A selection of offerings from Jaylor.